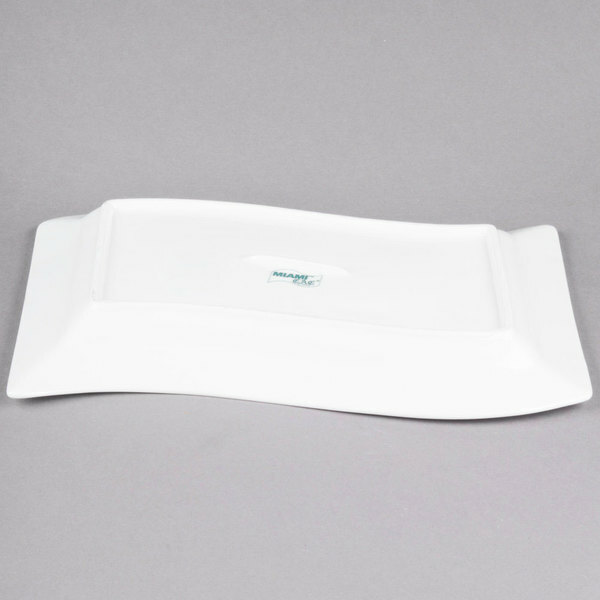 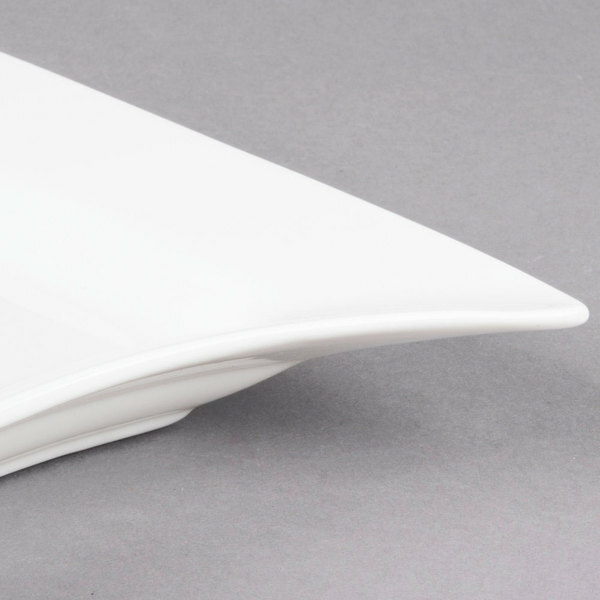 13 1/2" x 8 7/8"
10 1/2" x 6 3/4"
15 1/2" x 10 1/2"
Made of super bone white porcelain, these eye-catching CAC MIA-14 Miami 13 1/2" x 8 7/8" rectangular platters feature a contemporary, wavy-edge design. 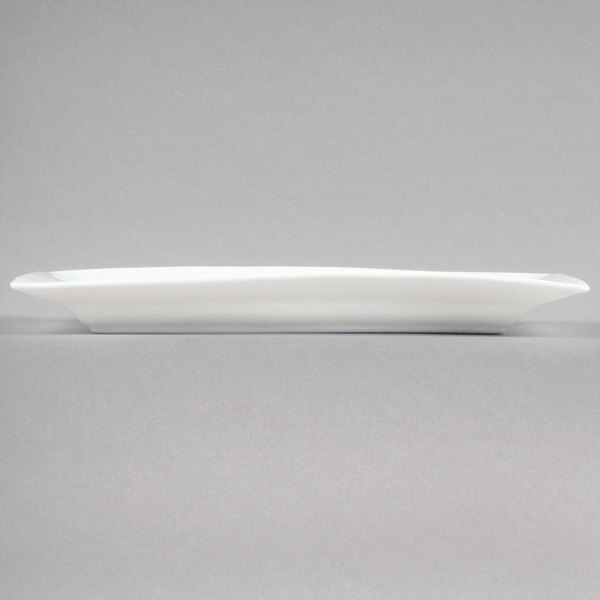 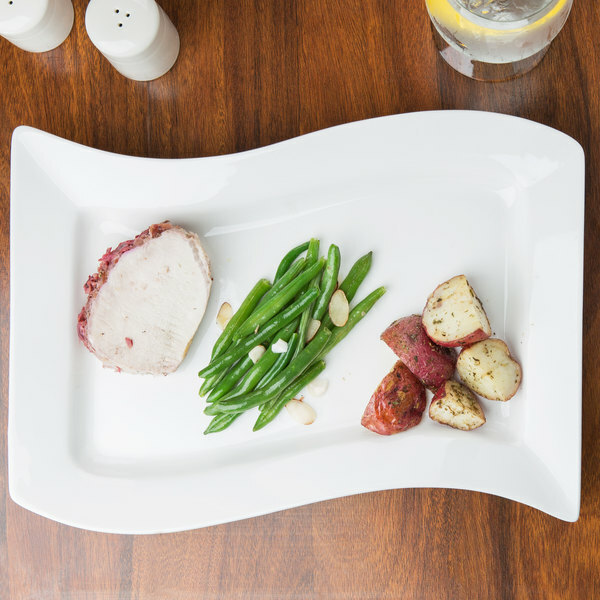 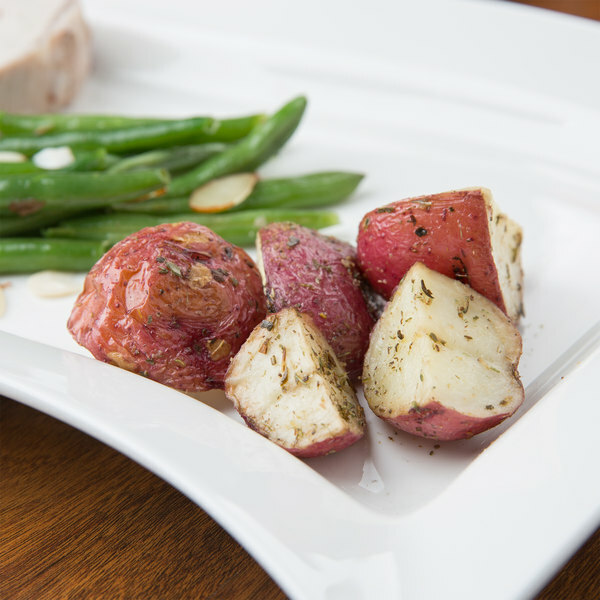 These platters are thin and lightweight so that customers know your fine restaurant or hotel offers nothing but the best! 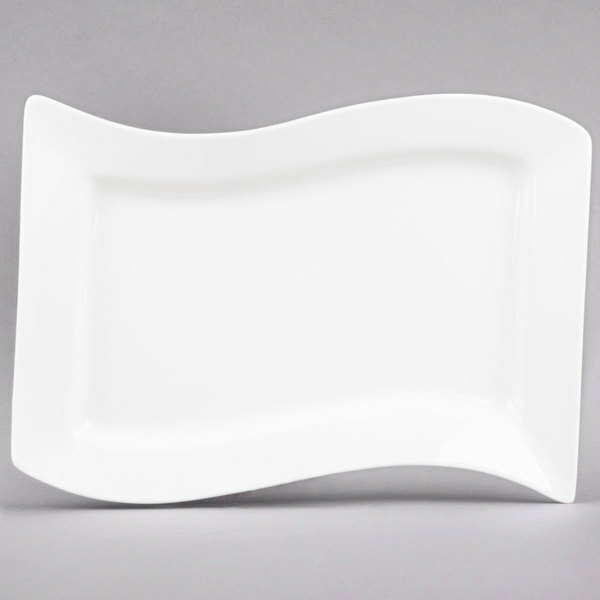 These unique platters will make all of the delicious entrees at your trend-setting restaurant look even more appealing.